We topped with fresh tomatoes and avocado. I also think my dairy free sour cream or my dairy free cashew cheese would be delicious additions. 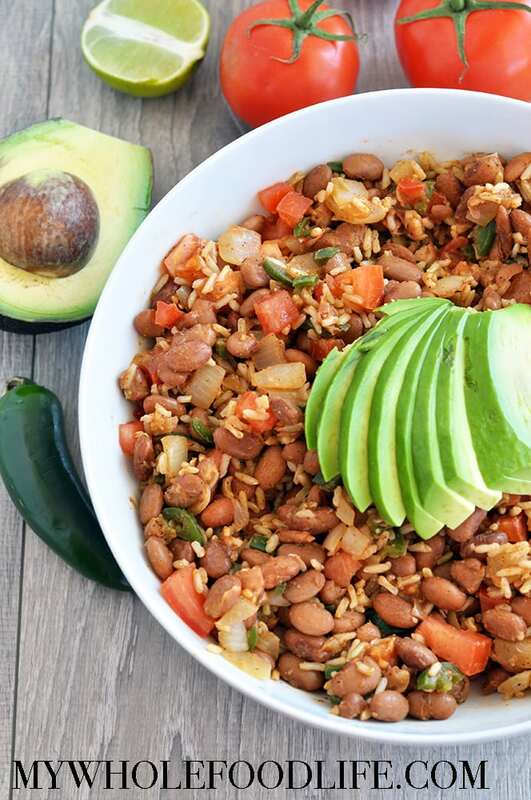 Beans, rice and bold flavors make this a winning dish. Vegan and gluten free! In a large saute pan, add the oil, onions, garlic and jalapenos. Cover and cook for about 5 minutes. Then add in the beans, spices and salt. Stir and cook for another couple minutes. Lastly, add in the rice and stir until it's well combined with all the other ingredients. 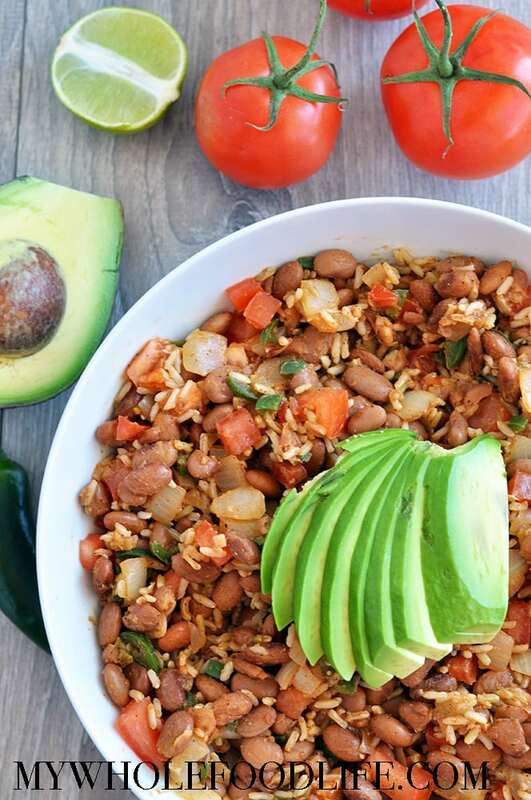 When serving, top with avocado, chopped tomatoes and lime juice. This should last at least 5 days in the fridge. It can also be frozen for longer. Enjoy!